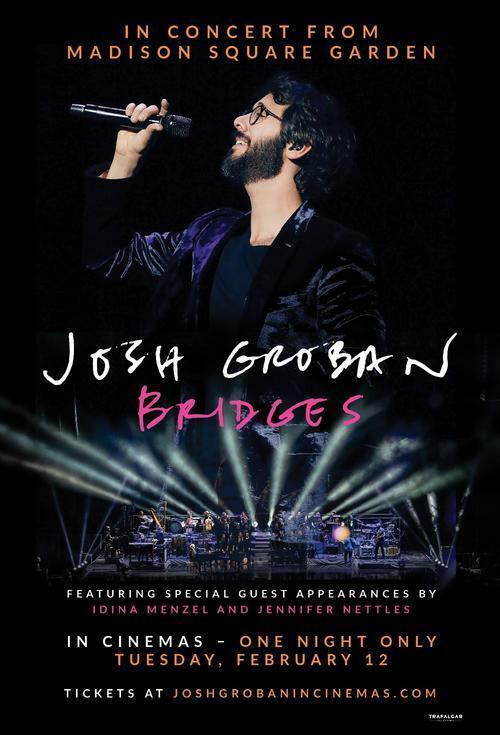 Join us for a special, one-night-only screening of Josh Groban Bridges From Madison Square Garden! February 12th at 6:30pm! Tickets are $12 GA, $10 for Students and Seniors.